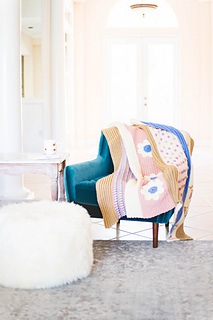 This blooming afghan throw blanket pattern is so stunning! It is perfect for spring with a sampler style pattern that keeps things interesting! 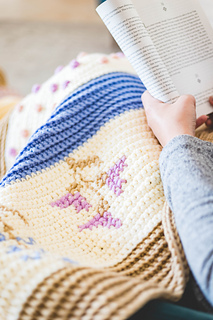 Perfectly warm and fun to crochet. This is an intermediate level crochet pattern, and the techniques you will need to know are single crochet, half double crochet, slip stitch, working in the back loop only and bobble stitch (explained in the pattern). Some experience with cabling is helpful but not required.